Well, well. The huge wave of 'awards' love Slumdog Millionaire enjoyed, spilled over into the Best Sound Mixing category Sunday night with a win. Congrats guys! Selfishly, I was disappointed that none of my friends took home the hardware. My expectations were that it would be a close race between The Dark Knight and Wall-E. Both films deserved it, but Slumdog came out on top. The Dark Knight did win the Best Sound Editing category, and this was no surprise. I also expected this to be a close one with Wall-E, which has phenomenal sounding tracks. The Dark Knight took it, and congrats to Richard King for that. The schnoz is an amazing mechanism. One tiny whiff, and you can be transported to distant memories of your childhood. It's happened to me many times throughout my life, yet each time it occurs, I'm still surprised at the power behind the "recall". As you might expect, one of the benefits of riding a motorcycle is being out of "the cage" of an automobile, to experience the elements without barriers. What you might also expect, is the interesting smells (some pleasant, some not so much) you encounter while out in the open air. Of all the various aromas to bump into while riding, I admit that frosted blueberry pop tarts was toward the bottom of my list of expectations. I've smelled it twice, in different places; once in a rural area, once in the city, but the scent was unmistakable. 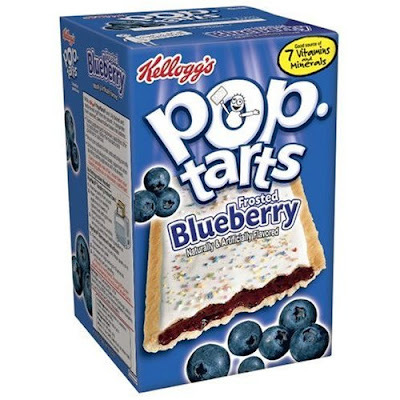 I was transported to the times I enjoyed my favorite flavor of pop tarts and wished there was a plate of them in front of me, hot and fresh out of the toaster. I don't get many pop tarts these days, but it's nice to relive them through these unexpected moments. What aroma has taken you back lately?